Ask any vegan and they’ll tell you that the false picture of hunger and weakness painted by clueless red meat eaters (and even some on a vegetarian diet) is anything but true. Even experienced vegans are likely to be impressed—though probably not shocked or surprised—by the incredible muscle vegan bodybuilders can gain. Search for vegan bodybuilders online and you’ll find plenty of slack-jawed amazement in terms of headlines proclaiming the impressive results vegan diets can produce for bodybuilders. Buzzfeed’s 14 Vegan Bodybuilders That Will Make You Rethink Everything is just one example out of dozens. These athletes prove that you don’t need animal protein to gain competition-winning levels of muscle mass. Ultimately, the work you put in at the gym (and your genetic propensity to build visible muscle where it counts) is what matters. Vegan bodybuilders can be just as bulky without the fat and vegan athletes can be as strong as red meat eaters and these famous vegan bodybuilders put that concept into practice every day. Learn more about these inspirational and internationally-known vegan bodybuilders to learn what’s possible with a 100% plant-based diet plan. 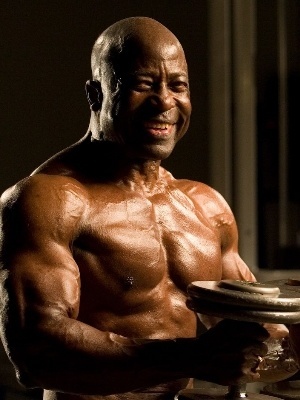 It’s hard to discuss vegan bodybuilders without discussing Jim Morris, a lifelong athlete who passed away at age 80 in 2016, 15 years after he became a vegan. Morris became a vegetarian at age 50 and slowly phased all animal-based products out of his life. Known as a kind, gentle man the move to a cruelty-free lifestyle made perfect sense for Morris. He was a pioneer in many ways, an openly gay man whose colorful life saw him win many bodybuilding titles and work as a personal bodyguard for Elton John. Morris showed how healthy and vital a vegan diet can help you feel at any stage of life. In his ‘70s, Morris continued to train and live a role-model lifestyle that showed just how healthy we can be. There’s no expiration date on good living and Morris was the living embodiment of this concept as an elderly vegan who looked healthier and stronger than most people decades younger than him. Though many were shocked at his death at age 80, especially considering how vibrant and energetic he seemed to the end, he passed away peacefully in his sleep. No official cause of death has been made public, but some members of the vegan bodybuilding community suspect that his unhealthy lifestyle as a meat-eating bodybuilder for most of his life contributed to his death at what seemed like an early age for such a healthy person. The Mr. Universe title has been held by a number of famous names, including Arnold Schwarzenegger and Barny DuPlessis. If you haven’t heard of that last name, you should get to know him. 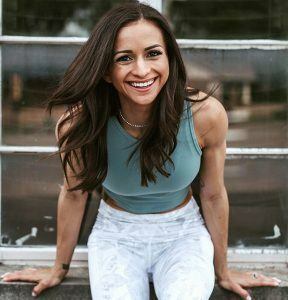 A vegan who grew up in a vegetarian household, DuPlessis is lucky to have a supportive fiancee, Josie Keck, another vegan bodybuilder, who helps him prepare the 5,000-6,500 calories of food he consumes during the competition season. His diet, which consists of wheat-free, gluten-free, non-GMO vegan foods, such as rice, lentils, nuts, and fresh fruit and vegetables also delivers up to 350 grams of protein, 700-800 grams of carbohydrates (including a high proportion of fiber from his plant-based diet) and 80-100 grams of fat per day. Of course, his exact intake depends on where he is in his competition cycle; when he’s not bulking up, he eats a little bit less, but not by much. Kenneth Williams is a big name on the natural bodybuilding competition circuit and he’s been a trailblazer since turning to veganism in the early 21st century. In 2004, he became the first international bodybuilding champion from America, winning third place at the 2004 Natural Olympia in Las Vegas. In an interview with PETA, Williams notes that Boca Burgers and Indian food are some of his favorites, but he also notes that high-protein, plant-based nutrition sources such as tofu and tempeh are great elements of a vegan bodybuilding diet, in addition to raw fruit and vegetables. Williams’ wife, Evelyn, is a vegan as well. This is a common trend among vegan bodybuilders; they often have support at home from a loving partner who shares their ethical and lifestyle priorities. Animal lover Amanda Riester is a successful boxer and bodybuilder and her impressive physique is the result of a healthy, plant-based diet and exercise regimen that takes her to the top of her profession as a fitness competitor. Riester’s physical pursuits are a family affair; she comes from a long line of boxers and fitness competitors, but her veganism also plays a big part of who she is. She stopped eating meat in kindergarten and came to realize that a completely vegan diet was the only way to completely eliminate animal cruelty from her life. When asked what the most important part of training is, Riester has said that diet is more important than any exercise and, clearly, her diet is working well for her. While she does eat some cooked food, she sticks with mostly raw vegan nutrition and carefully monitors her nutrient intake to be sure she’s getting all the vitamins and nutrients she needs to stay healthy. If you want to follow in Riester’s footsteps, read The Vegan Bodybuilding Book, which she says is the information source that started her on the vegan diet and training path she walks so proudly today. A vegetarian from a young age, Torre Washington stopped eating any animal-sourced food items in 1998 though, at the time, he didn’t even know that his lifestyle had a name. In an article for Forks Over Knives, Washington writes about his childhood, noting that influences such as Rastafarianism and his mother created a formative nutrition experience that mostly eschewed meat. After moving to Jamaica from the United States as a young child, Washington experienced bullying that inspired him to become strong and learn to defend himself. Though his fitness journey was born out of an experience of violence at the hands of his peers, Washington remains a peaceful man who is dedicated to healthy living and strength with an ethical foundation. He raises his children to be thankful for the food that’s available to them, passing on a tradition of fitness and veganism that is based on strong ethical values. Washington earned his pro card in 2009, more than a decade after first becoming a vegan and he maintains an enviable physique not only through a vegan diet but also through a complete rejection of supplements. Though some of his peers have encouraged him to eat meat or take supplements, Washington stays successful by staying true to his values. German bodybuilder Alexander Dargatz is a great example of how easy it is to be a bodybuilder and follow a vegan diet. Ethics was the primary motivating factor that drove Dargatz to veganism; health wasn’t as important to him as environmental ethics and animal cruelty. Dargatz notes that before he became vegan, he had to be very strict about his diet, but now follows a more relaxed approach where he simply eats what he wants, when he wants, so long as what he’s eating is vegan. In an interview with VeganBodybuilding.com, Dargatz describes his diet as being very natural. He doesn’t eat foods with artificial additives and he describes supplements as “overrated.” Since beginning a fitness program as a teenager, Dargatz won the World Champion Bodybuilder title in 2005, five years after he first began his vegan lifestyle. Those kinds of results speak for themselves. He’s living proof that bodybuilders simply need to focus on health and hard work to succeed. Some of the things he says, like being skeptical of creatine’s efficacy and declaring his love for his girlfriend’s homemade vegan tiramisu recipe, show that you don’t have to be crazily restrictive and rely on wild tricks to build muscle and win titles. An up-and-coming name in figure modeling and strength competition, Simone Collins is a graphic designer by trade, but bodybuilding and fitness are her personal passions. After becoming a vegetarian at age 13, thanks to her love of animals, Collins eventually became a vegan, following a common path that many vegans take. This change happened not long after Collins started her fitness training regimen and she was inspired by animal cruelty in the egg and dairy industries in her native Australia. Ethical concerns drive caring people to a vegan lifestyle in countries all over the globe. Collins initially saw the task of being a successful bodybuilder on a vegan diet as an additional challenge to overcome, but after doing her research and seeing how successful vegan bodybuilders can be, she realized her assumptions about vegan diets weren’t accurate. Now, she serves as proof that vegans can be strong, muscular and successful in figure modeling and bodybuilding. Growing up on a farm in Oregon instilled a love of animals in Robert Cheeke, whose sister influenced him to become a vegan at the age of 15. Though he became vegan at a young age, Cheeke’s success as a bodybuilder shows that this lifestyle is no impediment to success in strength training. Cheeke has always been athletic. He played soccer and basketball in high school, in addition to excelling as a distance runner. 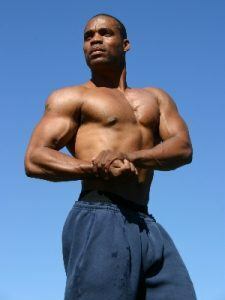 He eventually decided to dedicate himself to strength and he gained 30 pounds of muscle in his first year. As a vegan activist, Cheeke is a big name on the vegan bodybuilding scene and his website is a fantastic source of information and inspiration for anyone who wants to learn more about what’s possible as a vegan bodybuilder. Like a lot of other vegan bodybuilders, Cheeke has a relaxed approach to nutrition, eating whatever takes his fancy and focusing on what fuels his body. He and others in his peer group show that you don’t have to take on a glorified eating disorder to gain muscle and be healthy. By focusing on plant-based foods and eating what’s naturally nourishing to the body, you can succeed in your efforts to gain competition-winning muscle and achieve your fitness goals. Natalie is a professional IFBB Bikini competitor, vegan chef, fitness/lifestyle model, and author of numerous cookbooks. She was born and raised on the gorgeous Island of Puerto Rico, and from an early age showed an interest in living a healthy and active life. She also started surfing competitively professionally at sixteen years old. Professional surfing needs a significant amount of athleticism and stickability and this further ignited her interest in living a more healthy lifestyle. Her athletic pursuits together with certain life changing events inspired her to become a compassionate vegan. Despite the fact she was a vegetarian from a young age, her addiction to dairy products led to hypoglycemic episodes, bad acne, and extreme tiredness. In 2010 she met her husband, George Matthews who was also vegan. He also shares a passion for fitness and nutrition and together they learned about planet based diets and compassionate living.